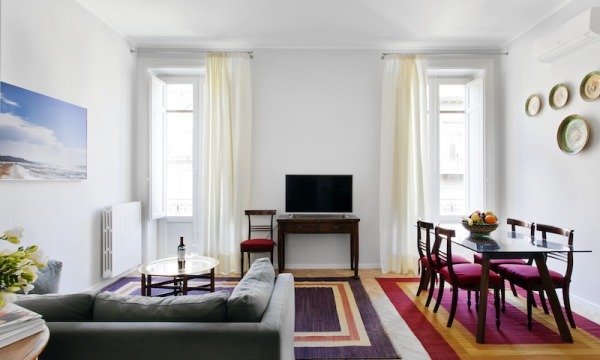 In the heart of Palermo’s historic centre and its lively crossroads of ancient history and culture, we present seven elegant and comfortable apartments containing the essence of the Planeta family’s hospitality, already offered at our five different wineries in various areas of Sicily and at La Foresteria resort at Menfi. A historic palazzo, dating from the early 1900’s, part of the building looking over Piazza Ignazio Florio which is our family residence, and today a place where you are welcomed, offering you the exclusive opportunity of staying in a home rich in history and at the same time enjoying an informal family atmosphere. Close to the port of Palermo and the sea, which is a feature of the urban landscape, you can access the city centre directly by choosing one of our apartments to stay in; and from the main streets with their handsome Liberty facades to the maze of lanes which will enable you to discover all the cultural impressions impressed on the city over the centuries, from Arab-Norman to baroque. From Via Principe di Belmonte, you will have within your grasp the whole spectrum of unforgettable experiences that the island capital offers to the visitor; from culture, through the great buildings of the UNESCO itinerary, to luxury shopping in the elegant streets of Via Libertà and Via Ruggero Settimo, among historic cafès and gourmet restaurants, to encountering the original city of special districts and markets.